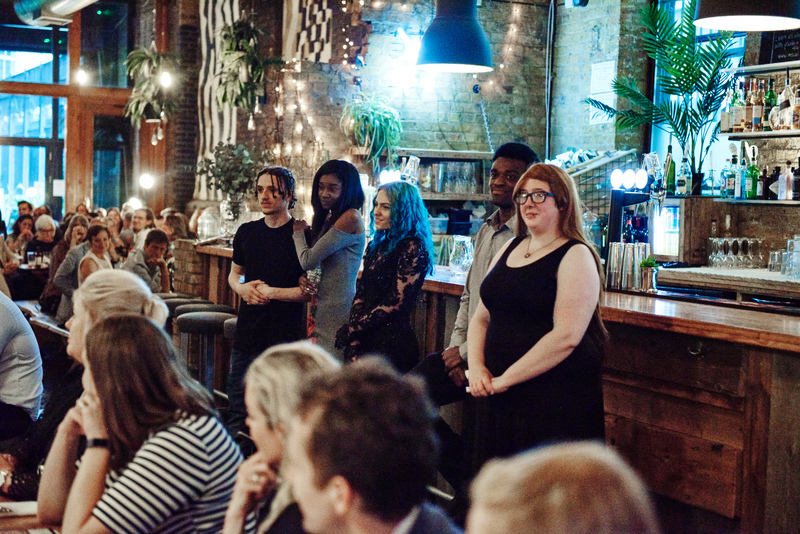 This year The Big House Gala 2018 was held on Monday 4th June at Juju’s Bar and Stage which is part of Truman’s Brewery, Shoreditch. We are immensely grateful to all of our wonderful guests who shared it with us and helped to make it an incredible event. The evening was a huge success and so much fun for all involved. We are delighted to have raised over £50,000 in support of The Big House! This will help us continue to grow, including expanding to a new home to enable us to welcome more young people and achieve our target of reaching 680 young people a year by 2020. The evening began with the Heart Game which gave our guests a glimpse of what life can be like for a young care leaver. Then our truly inspirational young people spoke from their hearts about the impact being part of the The Big House has had on their lives. One of our Trustees, Emma Corbett, shared her experience of working with young people as a social worker. After a beautiful meal prepared by Joe Curtis and his team from A La Mesa, the bidding began as Chris Currell expertly ran the live auction. Auction prizes included a week long stay in a stunning villa in Greece, a weekend stay in Norfolk, a week long stay in Cornwall, an opportunity to visit behind the scenes of some of ITV’s best loved programmes, tea with Ed Balls and many more. We even had some last minute lots generously donated by guests on the evening including tickets to see Eric Clapton, Liam Gallagher and Ed Sheeran. We would like to send a BIG thank you to Currell, Galliard, Enfield Construction, Four Communications and Joelson Law for their generous sponsorship of the event, as well as the many businesses and individuals that donated lots to the silent and live auction and prizes for the raffle. Here are some great photos of the night courtesy of Ollie Grove.